Race 3 is in 3D. Trailer out Tomorrow (15th May, 2018). Biggest news of the day is coming in. Race 3 is set for release in 3D format. Makers are ensuring a larger than life experience for viewers with Race 3. Thus, they have planned a 3D format in addition to 2D. 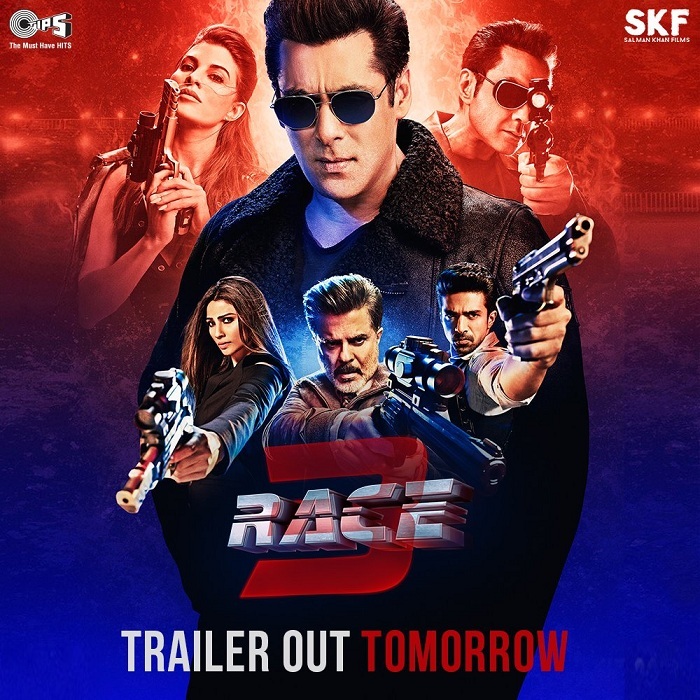 In fact theatrical trailer of Race 3 which was set for release on 15th May, 2018 that is tomorrow will now be released in a 3D format in an event. It simply can't get bigger and better. Race 3 is easily one of the most awaited film of the year. And after this news curiosity level has increased further. Race 3 stars Salman Khan, Bobby Deol, Anil Kapoor, Jacqueline Fernandez, Daisy Shah, Saqib Saleem in lead roles. Film is slated for big EID release on 15 June. There is no doubt that film will take hurricane start at ticket counters at the time of its release. At least aamir sir is not killer like sallu.. Prince bakshi ave gawaar tere tingu Salman ki height kitni hai? Salman's star power more than Aamir??? Good joke. Aamir is much bigger star than Salman and Salman tingu' s star power is not even 5% of Megastar Aamir Khan.